(in progress) After taking some risks and making adjustments. This is not fully resolved, but I like the direction better. I’d like to say that taking risks always results in a successful painting, but that has not been my experience. But as I wrote about previously, I try not to focus too much on creating “a painting” anyway, which makes it easier to take risks. For me, paintings are the byproducts of an experience. Risk-taking fits nicely with this as it’s about letting go of control; being detached from the outcome. That’s part of the joy in painting for me. And it helps me grow as a painter. But it is not always convenient to take risks. It can be hard to detach from outcomes when I am getting paintings ready for a show or have had good sales recently. And if I am painting in an event where I need to show finished work at the end, it can be nearly impossible. 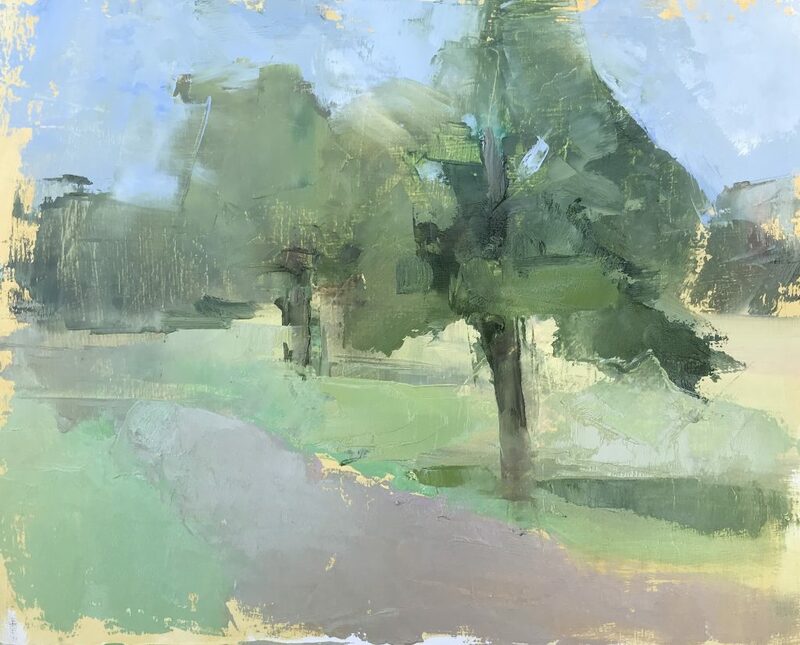 I experienced this last year when I participated in a week-long plein air event in Bucks County. Each artist was expected to have at least two finished paintings by the end of the week, framed and ready to hang. For the first few days, I was so focused on making “good paintings” that I was nearly paralyzed. I tried to play it safe, which was a disaster. Not only did it impede my progress, but more importantly- I was not enjoying it. I’d rather risk an ugly surprise than rely on things I know I can do. 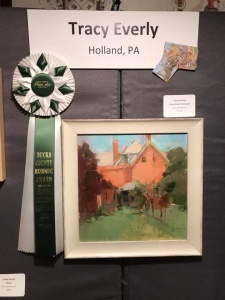 By the last day, I had found my stride again and painted well enough to win an award, which I mention only to illustrate the point. It’s not about winning awards, though. I have nothing, and so I have nothing to lose. If I even question it, take the risk. I will embrace the ugly and paint through it. Growth and joy are more important than any one painting. There are no shortcuts and there is no straight, predictable path. If I trust the process, it will take me where I need to go. Taking risks is always worth it. Always risk ruining a painting for an opportunity to grow. Tracy, I really like your blog. Thank you for your honest sharing. It is inspiring and helpful to aspiring painters.